UK public sector organisations can purchase Adashi's incident command software directly - no OJEU tender required. For more information contact Sarah Earl. Learn More About Adashi’s Public Safety Software for UK Fire and Rescue Services. 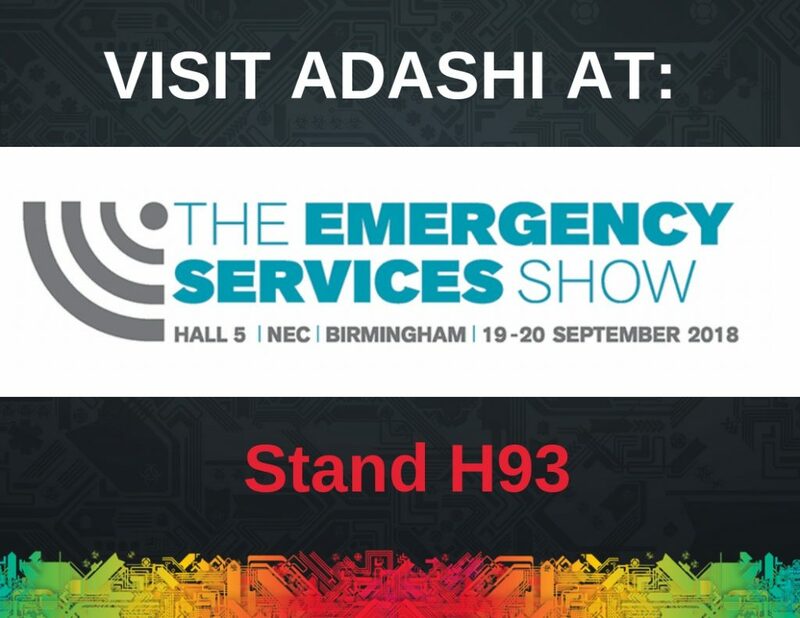 Adashi Systems provides an integrated platform to help UK Fire and Rescue services with emergency response and incident command. Learn more about our public safety software solutions below. FirstResponse MDT is changing emergency response. 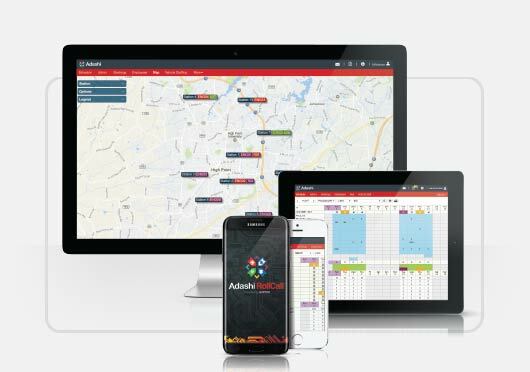 Adashi’s revolutionary emergency response software gives firefighters all the key information they need to get to incidents fast and start managing them effectively. The dynamic critical information dashboard provides public safety departments with all the information they need for a fast, coordinated, and intelligent response. View the brochure for more information. Adashi’s C&C gives public safety commanders an interactive dashboard for effective decision-making and asset mobilisation. Fire incident commanders use C&C for improved situational awareness, real-time collaboration, tactical planning, information-sharing, dynamic risk assessment, resource management, and more. See the brochure to get details. Learn more about procurement of Adashi’s software in the United Kingdom. The Adashi C&C solution is designed specifically to meet the needs of the UK Fire & Rescue Service. C&C is also an approved supplier in the YPO Framework. UK public sector organisations can purchase Adashi’s C&C directly through YPO and do not need to run a full procurement through the Official Journal of the European Union (OJEU). For more information, check out our recent press release. Learn More About the Adashi System Suite of Products. Adashi’s incident response and incident command products seamlessly integrate with each other and our staffing software, powered by Gartan Technologies, giving public safety organizations an end-to-end tool. From beginning to end, we help public safety agencies create a fast, coordinated, and intelligent response. Use Adashi’s public safety software to make the backend of your service organized, efficient, and stress-free. Learn about the specific features of our combined emergency response and incident command product below. 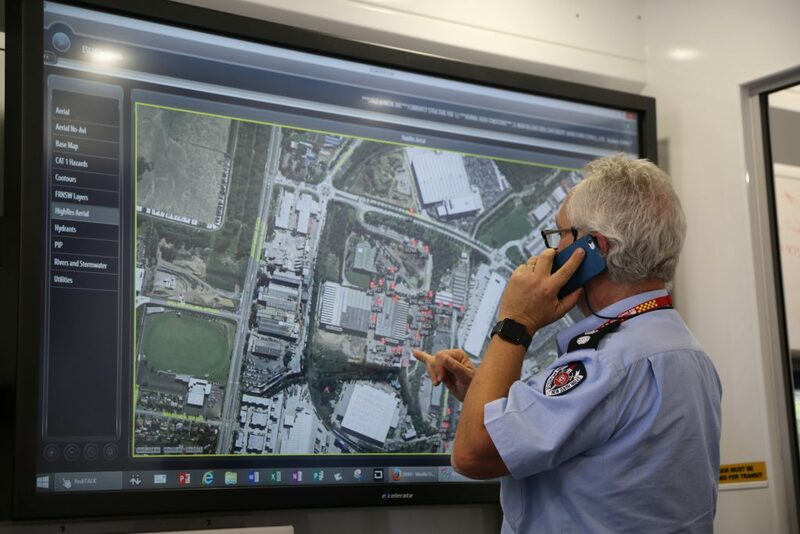 When the control room mobilises an incident, FirstResponse MDT instantaneously notifies responders and provides a detailed summary page of dispatch information, before responders even get into their vehicles. Direct integration with the control room and emergency dispatchers allows firefighters to communicate their status at the touch of a button and receive to-the-minute incident updates. Responders receive a reliable, efficient route with turn-by-turn navigation as soon as incident mobilisation is received. Routing automatically incorporates turn restrictions, physical barriers, one-way streets, restricted access areas, and relative road heights. Responders and commanders can access Esri, Pictometry, Google/ Bing, and local or custom GIS overlays including hydrants, sewage/power lines, and points of interest to identify hazards and gain a complete view of the situation from multiple viewpoints – even at night. Commanders can also view the location of responding units in real-time on the map. With our unique information dashboard, responders can view all of their key information in one place. No fumbling between maps or scrolling through screens on a moving vehicle. Everything firefighters need is in a clear, easy-to-use format, specifically designed for public safety needs. Our software integrates with records management systems, allowing firefighters to access building pre-plans, standard operating guidelines, checklists, local benchmarks, hazard predictions & modelling, and weather data. 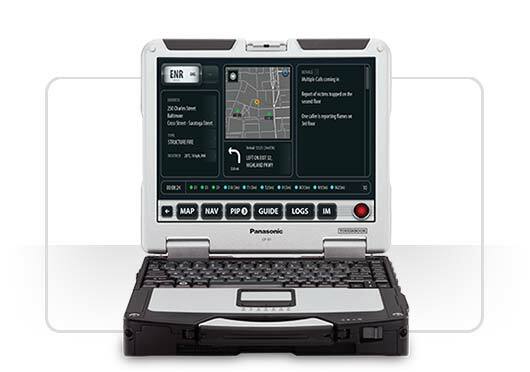 All information is stored locally on the device to make for quick and easy retrieval en route or at the incident, regardless of area connectivity. Access important information about existing hazards to perform dynamic and analytical risk assessment. Use our Action Journal to track all activities at the incident ground and change strategy or implement additional safety controls as required. 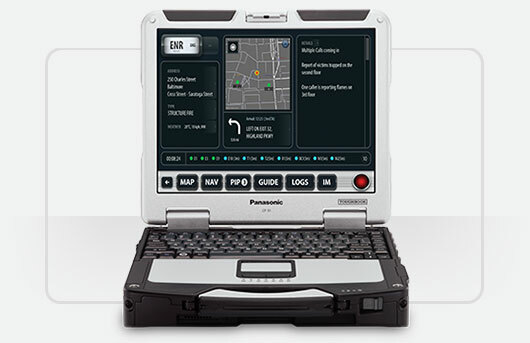 Full AVL (Automatic Vehicle Location) allows incident commanders to see, communicate, and re-route units in real time. Resources in the field instantly receive a pop-up notification of messages and the new assignment. A flexible incident command org chart allows you to drag and drop your resources to groups and assignments. Organisational charts automatically expand as the incident progresses to help commanders maintain a critical span of control at each level. 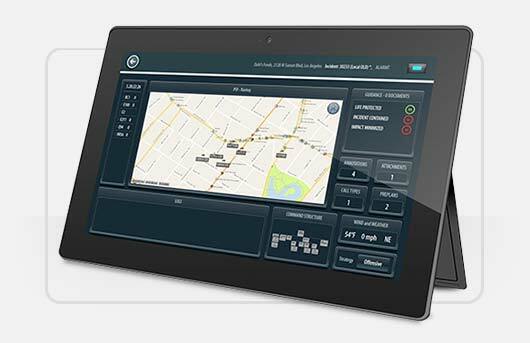 In addition to direct interface with dispatch, records management, and other public safety systems, the Adashi Systems products also seamlessly integrate with Gartan Technologies’ rostering solution. Roster data is automatically collected and transferred to the Adashi MDT and incident command solutions enabling crew leaders and incident commanders to easily view assigned personnel for improved accountability. The IM feature lets crews communicate messages, photos, and high-resolution video streaming in real-time. Personnel can instantly share important incident information and create a common operating picture across fire and rescue services. Everyone is on the same page and able to easily collaborate using real-time information. The electronic planning board helps commanders define zones of approach, identify objectives, notate hazards, or define sectors with ease. Incident commanders can also annotate maps, photos, pre-plans, and other media and share that information with all connected users to quickly communicate tactical strategy and objectives. See Why We’re Passionate About Public Safety. Our mission is to provide ideal technological solutions fulfilling the needs of emergency responders worldwide. We enable public safety agencies to advance their mission by providing intuitive tools for people and organizations to do the best work with technology that adapts to them, not the other way around. We invite you to learn more about who we are at Adashi and how we’re helping public safety agencies of all sizes and types. View our case studies to learn about our customers and feel free to visit our About page for more information on our leadership, history, and team members. Web-Independent Platform – No Internet? No problem. Learn about several specific FirstResponse MDT features that work regardless of connectivity – anytime, anywhere. Public safety agencies have unique needs and requirements that standard solutions can’t always solve. Many products on the market provide an incomplete fix, but they’re not meeting your department’s full scope of needs. That’s why our products are designed specifically for the public safety industry. Adashi Systems strives to give public safety organizations of all sizes and types the tools they need to staff, respond to, and manage emergencies. Adashi provides an integrated suite of products including staffing, response, and incident command to fulfil the needs of emergency responders worldwide. Our products work together to provide an end-to-end solution to help departments handle incidents before, during, and after they occur. From the moment you arrive to work your shift, every time you use the MDT to respond, and whenever a commander manages an incident, we bring ease and efficiency to your daily workflow at every step of the way. For more information, visit adashisystems.com to learn about our products and services.